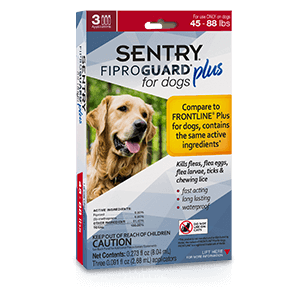 SENTRY® Fiproguard® Plus contains fipronil, the #1 veterinarian-recommended active ingredient2, and (s)-methoprene to protect against fleas, flea eggs, flea larvae, ticks and chewing lice. This fast-acting and long-lasting squeeze-on breaks the flea life cycle by killing flea eggs and larvae. 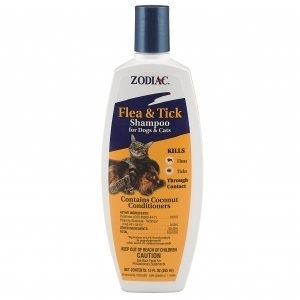 It also helps to protect your pets and family from illness by killing ticks that may transmit Lyme disease. SENTRY® Fiproguard® Plus is just as effective against fleas and ticks as FRONTLINE® Plus.